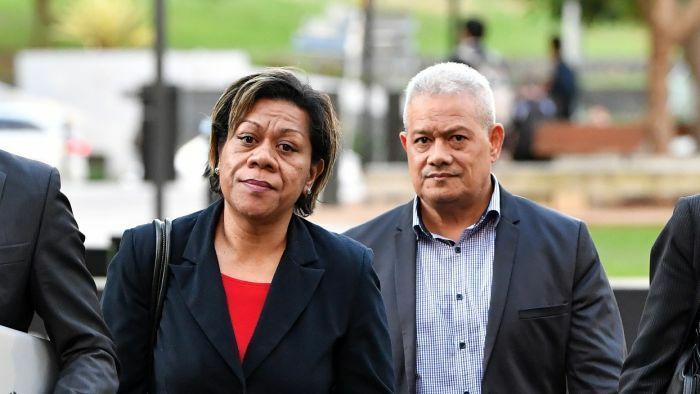 A Queensland couple who forced a Fijian woman to work as their domestic servant for eight years have been jailed for what a judge labelled a “callous” and “calculated” crime. Isikeli and Malavine Pulini admitted to harbouring an unlawful non-citizen, but last week a District Court jury in Brisbane found them guilty of forced labour offences — the first convictions in Australia. The jury also convicted Malavine Pulini, 48, of trafficking the woman, who had her passport taken from her when she arrived in Brisbane on a tourist visa in 2008. Judge Leanne Clare SC sentenced Malavine Pulini to six years in prison while her husband, 58-year-old Isikeli Pulini, was handed a five-year jail term. The victim — who cannot be identified for legal reasons — worked long hours for between $150 to $250 per fortnight, until she secretly packed her belongings and fled the couple’s Brisbane home in 2016. Judge Clare said the couple oppressed the woman to “make their own lives easier”. “The Pulinis treated her like a servant … she was paid poorly and made to feel of little value,” she said. She said the couple exploited the victim’s poverty and desire to be in Australia and the imbalance of power was “heightened” because of the woman’s illegal immigration status. “Ms Pulini had no intention of helping her to get a long-term visa … instead she intended to make her more vulnerable,” Judge Clare said. Judge Clare said the woman’s domestic duties included being the nanny, maid and cook, and payment was “token”. The prosecution said there were no other cases in Australia for the forced labour offence, introduced as legislation in 2013. In a victim impact statement, the Fijian woman wrote how she was wracked by hopelessness, regret and low self-esteem. “I still experience nightmares about the way they treated me,” she said. “They abused my trust and knew what they were doing was wrong. The woman said the couple presented a dignified appearance to the outside world, while inside the household, she “felt like a slave”. She first worked for the Pulinis between 2001 and 2006, when the family lived in Tonga. Isikeli Pulini’s barrister Marc McCarthy argued to the court that the couple were not motivated by financial goals but wanted to maintain their family unit, like in the Polynesian country. “[This household had] an above-average income, their children were in private schools, and this was actually a luxury item,” Judge Clare said. Malavine Pulini’s barrister Benjamin Dighton said it had been a “sobering experience” for his client. Both of the Pulinis must serve two years in prison before they are eligible for parole.